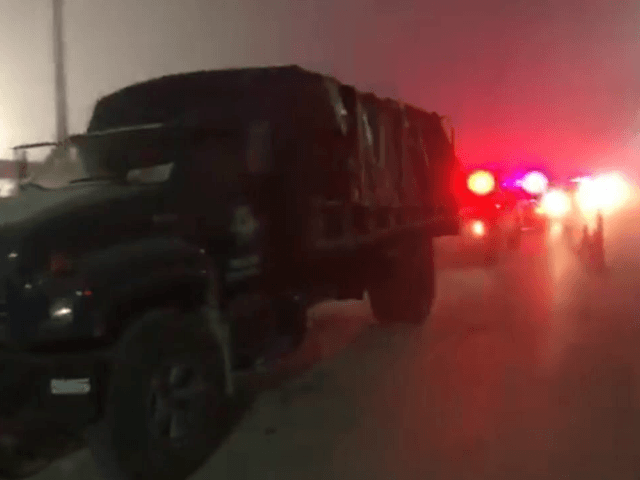 A small group of Central American caravan migrants jumped out of government-provided buses in the Mexican border city of Piedras Negras and made a dash for Eagle Pass, Texas. Video published by the Eagle Pass News Leader reveals the moment when a group of migrants purportedly from the caravan were turning themselves in to U.S. Border Patrol agents immediately after crossing the river. On the Mexican side, the majority of the migrants went to a temporary shelter where they will have to wait to be admitted into the U.S. through a port of entry. However, the migrants grew restless overnight and began having brief altercations with local police officers around the shelter. 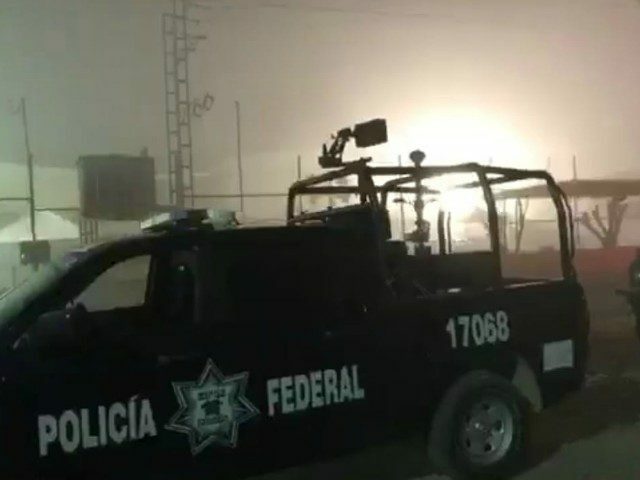 The possibility of a larger conflict and having his police outnumbered by 1,700 migrants led to Piedras Negras Mayor Claudio Mario Bres to request the help of federal authorities to deal with crowd control. 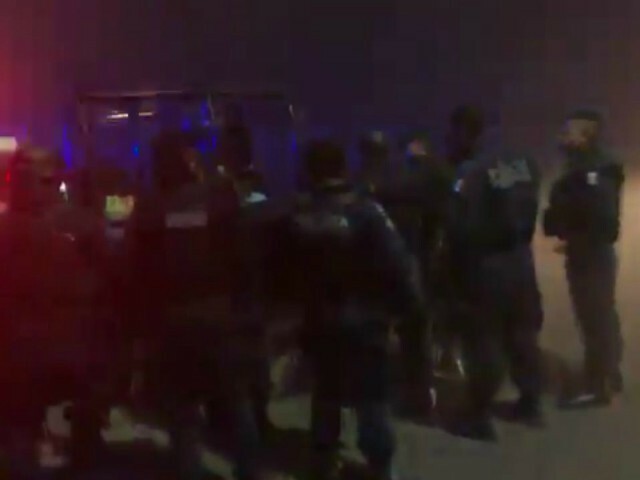 Mexican authorities dispatched more than 100 federal police officers in riot gear to secure the migrant shelter that has been set up in Piedras Negras. Ildefonso Ortiz is an award-winning journalist with Breitbart Texas. He co-founded the Cartel Chronicles project with Brandon Darby and Stephen K. Bannon. You can follow him on Twitter and on Facebook. He can be contacted at Iortiz@breitbart.com. Brandon Darby is the managing director and editor-in-chief of Breitbart Texas. He co-founded the Cartel Chronicles project with Ildefonso Ortiz and Stephen K. Bannon. Follow him on Twitter and Facebook. He can be contacted at bdarby@breitbart.com. J.M. Martinez from the Cartel Chronicles project contributed to this report.